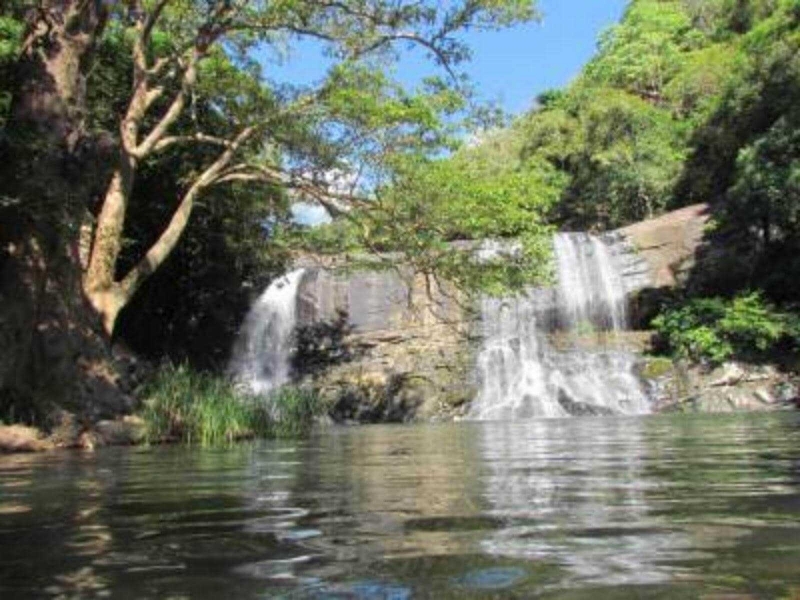 Sera Ella Waterfall in Sri Lanka is a waterfall located in Pothatawela village, a place near Laggala in Matale District’s, Sri Lanka. 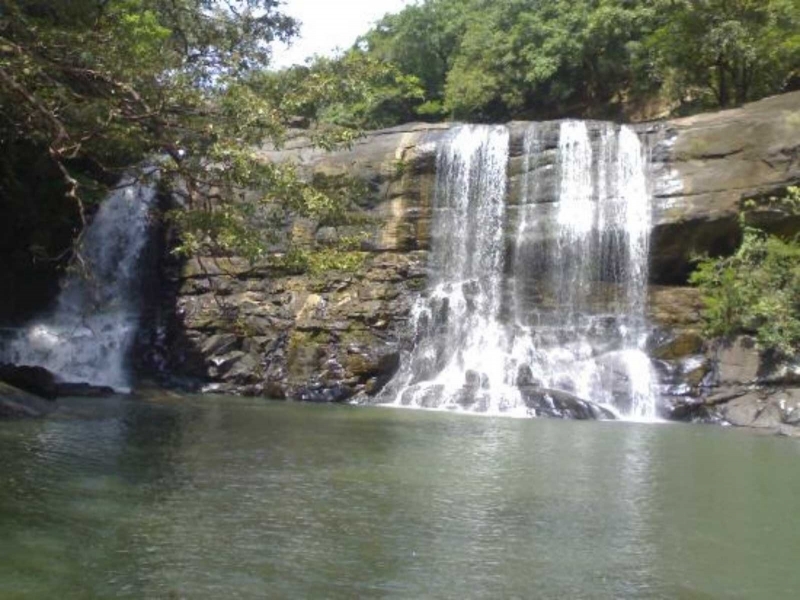 It is formed by the waters of Kitul Canal which runs down Kaudagammana peak and Hunumadala River which flows from the mountains of Gonamada and Deyuthu Gammmaduwa combining to form the Puwakpitiya River, a waterway which joins Thelegam River to create the waterfall at its point of joining. 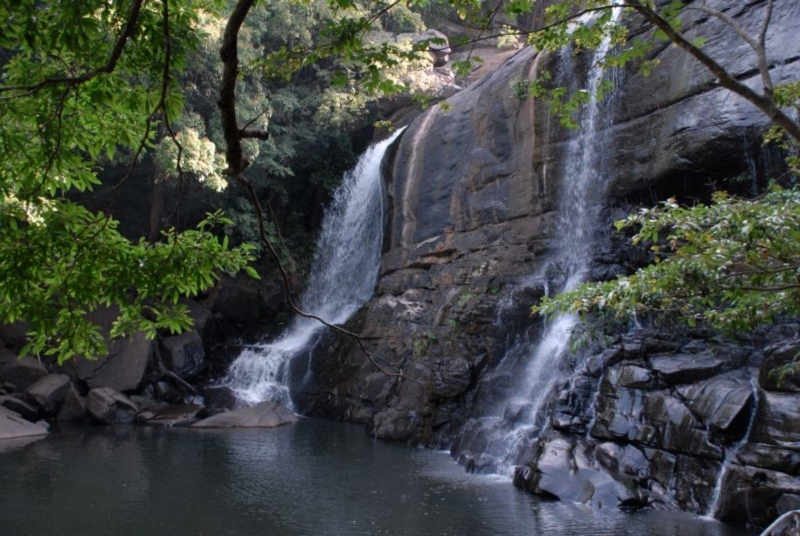 The magnificient waterfall separates into two sections as it falls down the rockface, both falling down a height of 10m and which is visible from the Dumbara Jungle. The waterfall receives water the whole year round, and is at full flow during the months of the monsoons; that is, between November and March. 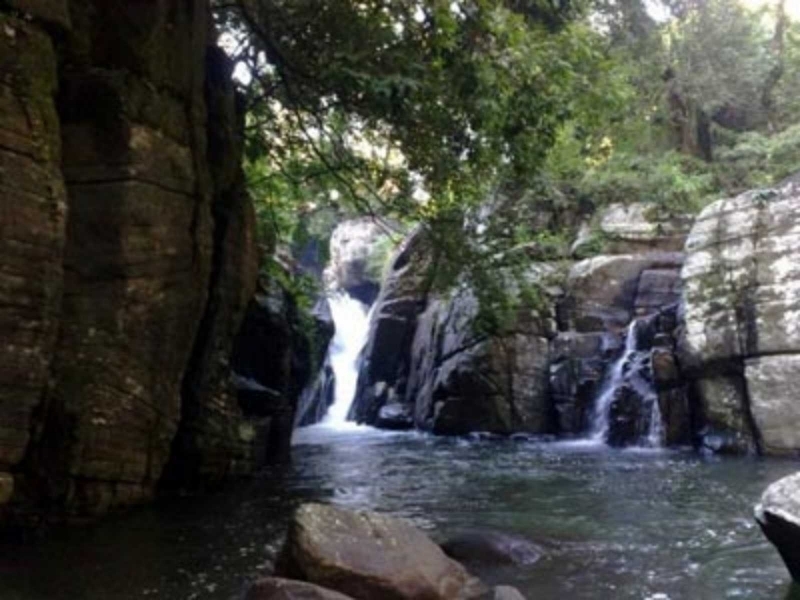 The waterfall gets its name from the species of fish that lives in its waters, locally known as ‘Sera’. This pretty and unassuming waterfall, Sera Ella, hides an exciting secret in its midst. A dry but cool caveis hidden behind the curtain of water as it flows down the rockface. It can be reached, even when the waterfall is in full flow, using the steps cut into the rockside. They tend to be slippery from the misty spray and moss though, so care should be taken. Sera Ella is perfect for a family day outing, with the base of the waterfall being good for bathing and a swim. The cave is an amazing place for a picnic lunch and nap out of the sun with the calming roar of the waters and the cool shade of the cave. There are places to explore nearby for the more adventurous too.